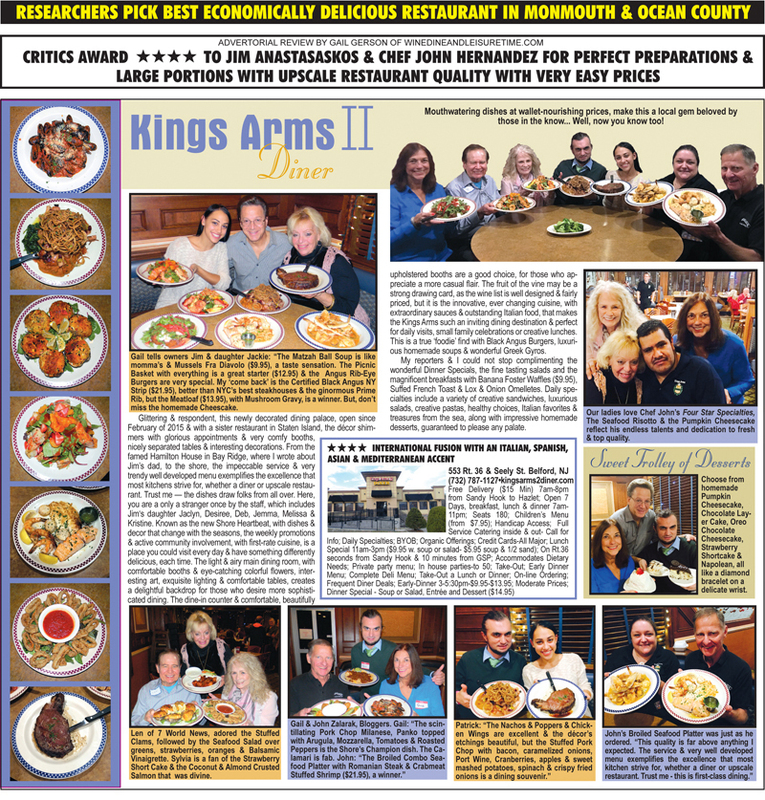 New owners Dimitri, Jim and John of Staten Island NY welcome you to The Kings Arms II Restaurant. A ‘Fusion’ restaurant where you have fine dining as well as traditional diner fair in a cozy cherry wood decor. Choose our delicious pork chop milanese, pan fried- fresh mozzarella/arugula/roasted peppers topped with fresh plum vinaigrette or almond/coconut crusted salmon over spring mix salad with fresh mango/avocado, pineapple topped with raspberry vinaigrette or just order bacon & eggs with our delicious coffee or Hamburger made with Certified Angus Beef and a cup of our famous soup of the day (Tomato Risotto, Southwestern Chicken Bean, Potato Leek). We spare nothing for our customers; Quality ingredients, Freshest Vegetables, Fresh Fish & Certified Angus Beef and I Promise you will have a terrific meal at reasonable price. 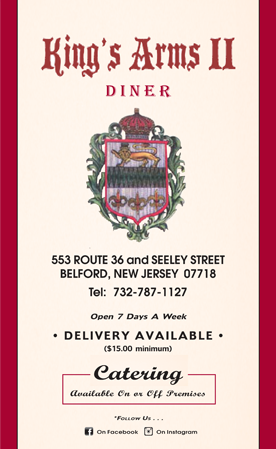 In our efforts to serve you top quality foods, we have turned to Bell & Evans to provide our chicken cutlets. We were not satisfied with other supplier’s chicken cutlets which had a rubber like texture and was not required by the USDA to show processing country of origin (CHINA). We proudly serve Bell & Evans chicken cutlets which use air chilled processing meaning… NO BLEACH IS USED, NO HORMONES, and NO ANTIBIOTICS! We feel it’s the best!